Sometimes in life, an average sized stress ball just won't get the job done. 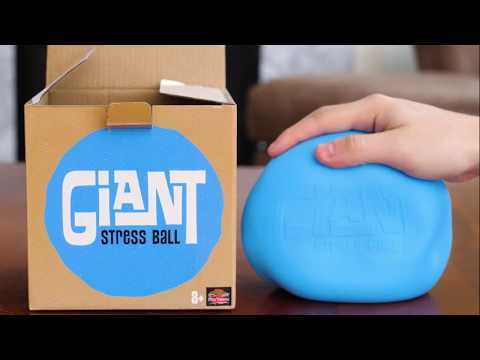 Enter the giant stress ball - couldn't be easier! Behind on homework? Worried about the spelling bee? Can't get your crush to notice you? Nervous about football tryouts? This stress ball can handle anything! Simply squeeze and pull this durable, lightweight stress ball apart and feel your troubles melt away. Much more productive than yanking your hair out! Size: 5.5" x 5.5" x 5.5"